State agency leaders visit 11 communities (one was Graceville in Big Stone County!) to highlight investments in water, energy, agriculture innovation in Greater Minnesota. Among the goals of the trip is to increase awareness of Minnesota Business First Stop, which Gov. Mark Dayton created in 2012 to help businesses cut through red tape when working with state agencies. Minnesota Business First Stop streamlines the process for financing, licensing, permitting, technical assistance and other resources that state agencies provide to businesses. Graceville, Wheaton-Dumont Co-op Elevator’s Graceville Grain Terminal – provided the Commissioners a tour of this newer unit train loading facility. 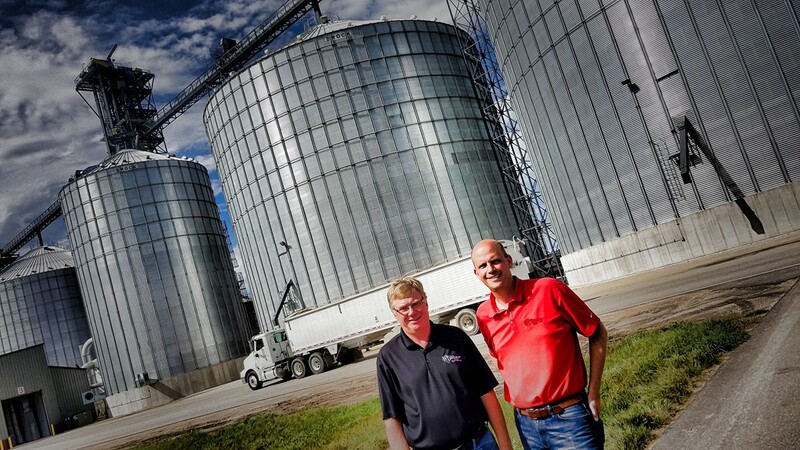 The tour was provided by Co-op Board President Vaughn Maudal and General Manager Phil Deal. This is a locally-owned and operated agricultural cooperative that serves more than 1,200 patrons and operates facilities in 14 communities in over 7 counties and three states (Minnesota, South & North Dakota). 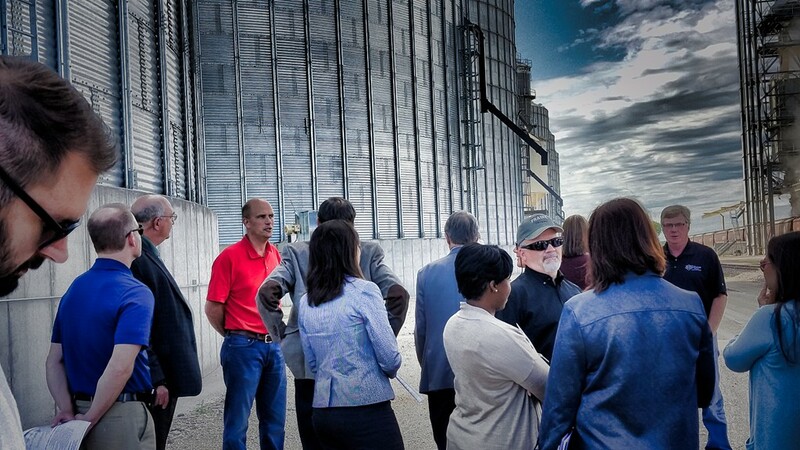 In Minnesota, they operate 7 grain facilities and 2 agronomy centers. The communities are Ortonville, Clinton, and Graceville in Big Stone County; and Dumont and Wheaton in Traverse County; and Tenney and Campbell in Wilkin County. 120 employees with almost all positions full time! 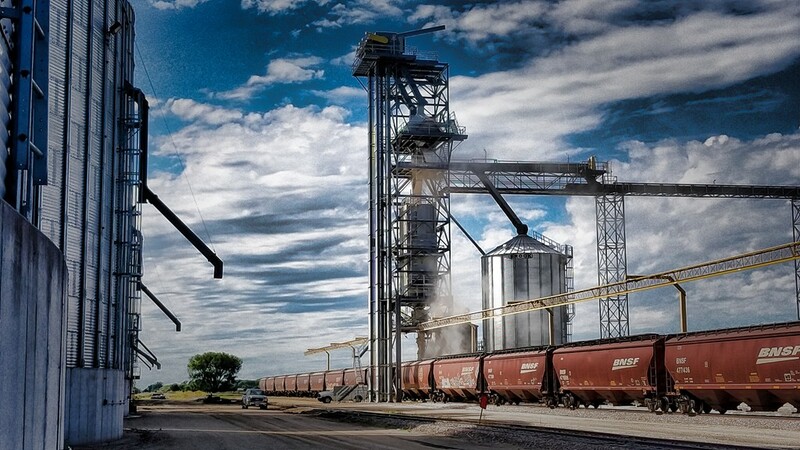 Their grain goes all over the world with soybeans mainly to China and corn mainly going to Korea or Japan. Next PostWhat do our local artists do?